Learning power that helps kids soar! As educators, we know that each child learns differently; as parents, we know each family is unique. Dilly’s Tree House is designed to be flexible, so you and your child can learn and play together in a style and schedule that works for you both. 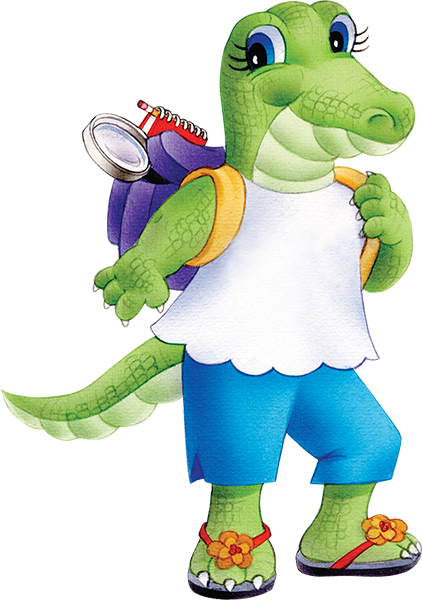 Meet Dilly Gator, leader of the InvestiGators. Dilly inspires kids to read, explore, and solve problems. She is sending a cuddly Gator Buddy to accompany your child on all the Dilly’s Tree House adventures. Each month brings a new batch of surprises. 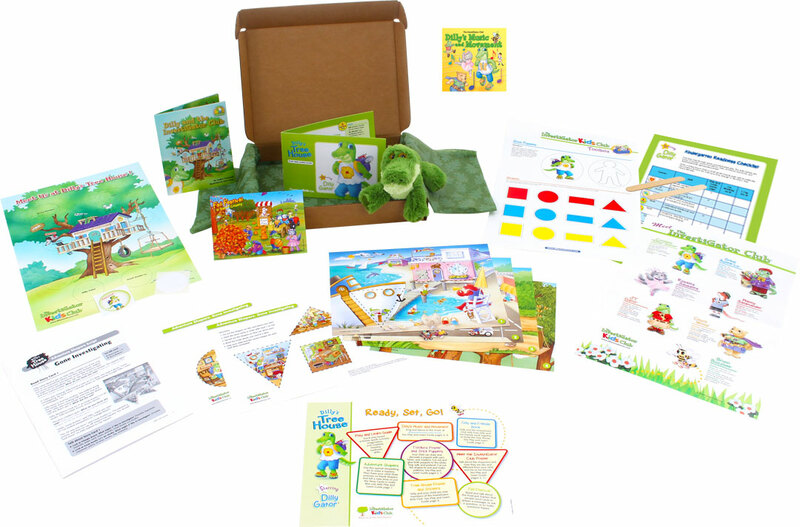 The sample below shows and describes the products in the first box, Starring Dilly Gator. Each of the boxes in the 7-month program features one of the InvestiGator Club® characters. Skills and topics throughout the boxes are selected from the research-based Scope and Sequence of the InvestiGator Club® Prekindergarten Learning System. Kids love Chuck Wood, “superhero of kindness”. Chuck is an inventor, and he shares lots of math skills and tips. 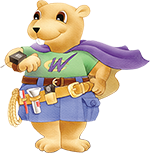 Chuck is sending a powerful superhero cape to help your child discover his or her own superpowers. It’s a pretty big deal. Live from his apartment in City Square, Manny Salamander guides your child through fun activities that encourage sportsmanship and active play. 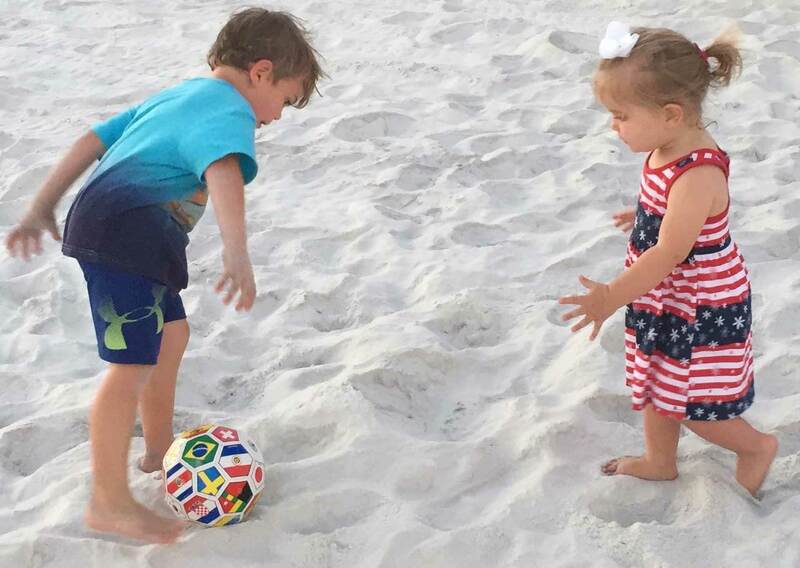 Manny has placed a very cool world flag soccer ball into this box for your family to enjoy together. Goal! JT Gator is quite the world traveler, even though he is shy and has some fears to manage. He loves music, especially the blues. JT is super excited about teaching your child to play catchy tunes on his harmonica. Great Auntie Lu creates artworks from her studio in Triangle Beach. She’s also an amazing storyteller! Your little artist will create masterpieces with the watercolors and painting pad she has lovingly packed in this box. Bruno Buzzbee gathers information about how things work. He delivers Bee Mail and gifts of learning from his headquarters deep in Circle Forest. In this colorful package, you will find Bruno’s magnifying glass so your little investigator can explore and discover. Hola from Rosalita Sausalita! Rosie dances like the wind, but more than anything she is a techie and can even make her own apps. Rosie has put together a colorful set of pet counters so your family can practice valuable pre-coding skills, such as sorting and patterning.